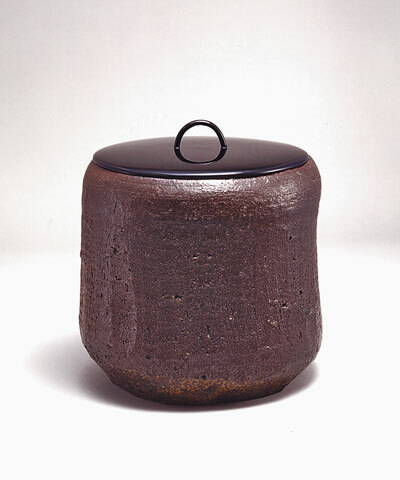 (Tea container) A ceramic container for thick tea. It is put in a pouch and placed on a utensil shelf or on the utensil mat. The lid is made of ivory, and the underside of the lid is covered with gold foil. There are both Chinese and Japanese ones and they have been highly ranked among chanoyu utensils from long ago so that many of them are meibutsu (famous utensils that are given a name). (Tea gathering) Tea gatherings were originally called chaji, which are held for just a few guests and feature kaiseki (chanoyu cuisine), thick tea and thin tea. This is the most formal kind of chanoyu entertainment. 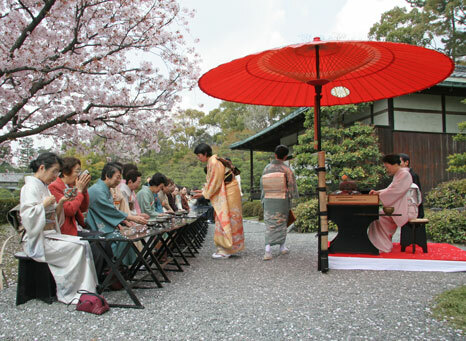 In recent years many guests are invited together and just thin tea (or sometimes thick tea) and tea sweets are served at large-scale gatherings. The word chakai usually refers to this type of tea gathering, to distinguish it from chaji. CHAKI This word refers to the type of tea container used for thin tea, but is also used to mean tea utensils in general. (Tea cloth) A hemp cloth used to wipe the tea bowl during the preparation of tea. 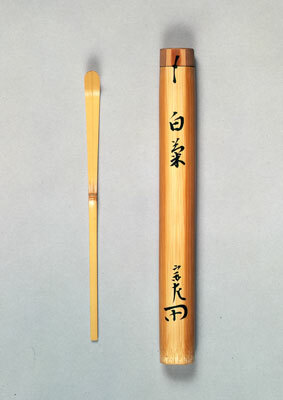 (Tea whisk) A bamboo utensil used to mix the powdered green tea and hot water together, making tea. 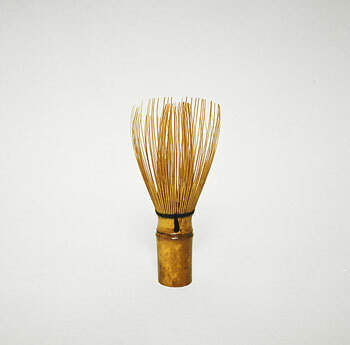 In Omotesenke, smoke-stained tea whisks are used. 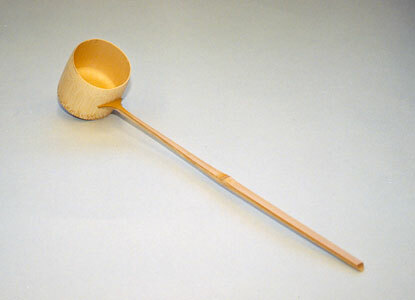 (Tea scoop) A scoop for powdered green tea. 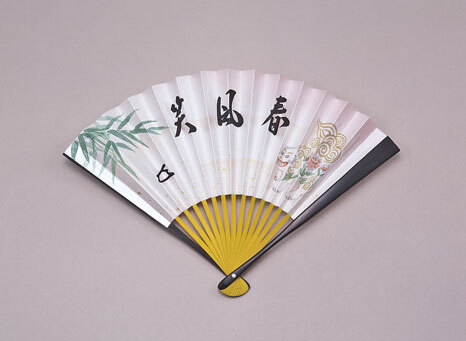 Most of them are made of bamboo but some are made of ivory, wood or lacquered wood. There are also cases that go with them. 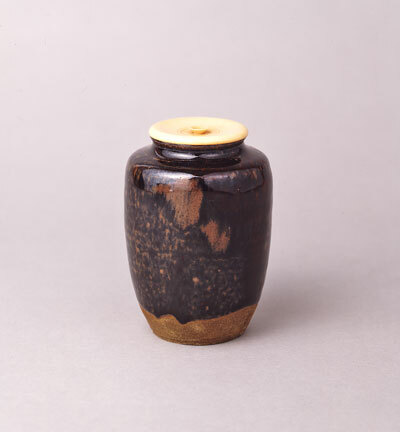 There are many bamboo tea scoops made by Grand Masters. The personality of each Grand Master is clearly seen in these. 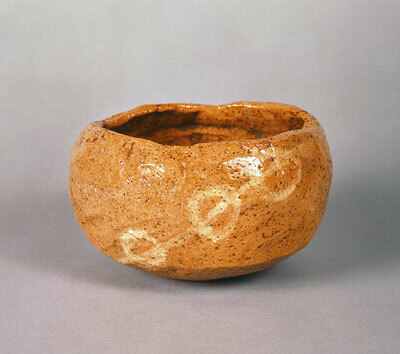 (Tea bowl) A bowl for drinking powdered green tea. From the Heian period until the Kamakura period, celadon porcelain, white porcelain and temmoku tea bowls from China were used. 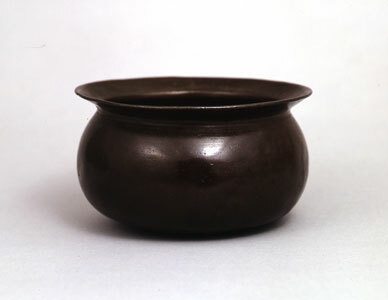 From the middle of the Muromachi period, however, with the flourishing of wabicha (tea of quiet taste), Korai tea bowls from Korea were mainly used. 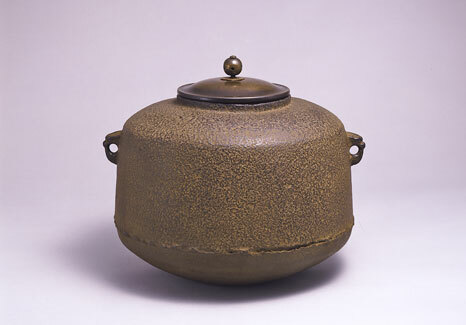 In Rikyu's time Mino, Seto and Raku ware tea bowls became very widely used. Utensils from China are called karamono and those from Japan are called wamono or kuniyaki. 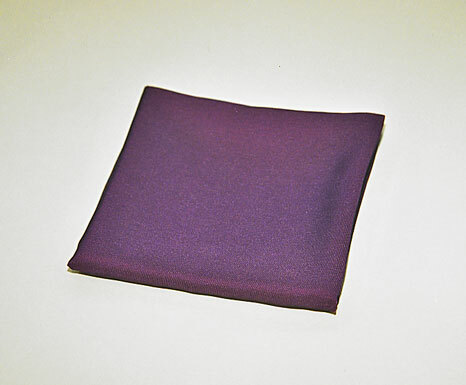 (Silk cloth) Used to purify the tea container and tea scoop when preparing tea, and placed underneath utensils when they are examined. (Brazier) This is used from May to November. Charcoal is placed in it, and a kettle set on it to boil water. FUSHIN'AN This is a three-and-three-quarter mat tea house at Omotesenke. 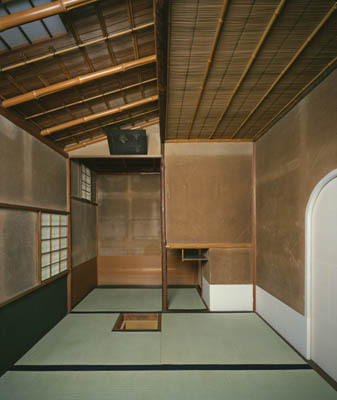 It was said that the original was a four-and-a-half mat tea room that Rikyu designed in a residence opposite the main gate of Daitokuji temple, but the present Fushin'an was modeled on a tea room that was built by the fourth generation Grand Master Koshin Sosa and his father Genpaku Sotan. The name Fushin'an was chosen by Kokei Sochin at Rikyu's request. It is taken from a Zen saying, 'Fushin hana hiraku konnichi no haru', which means, 'Mysteriously the flowers open. Spring today'. Fushin'an is the representative Omotesenke tea house and is also a general term for the whole Omotesenke organization. (Lid rest) The lid of the kettle or the head of the ladle are placed on this. 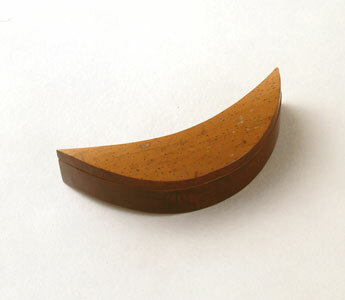 Lid rests are made of metal, china, porcelain or bamboo. (Box inscription) This is written on boxes containing tea utensils and tells us the name of the craftsman who made it, its name, where it came from and its lineage. (Flower container) This is a container in which flowers are arranged, that is hung in the alcove or placed on the alcove floor. Many materials are used, including copper, china, porcelain and bamboo. (Tea ladle) This is used to ladle water from the kettle and from the fresh water container during tea procedure. 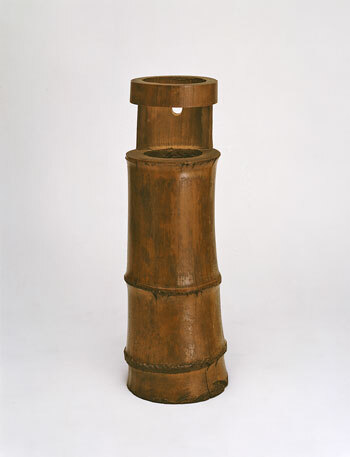 It is made of bamboo and consists of a head (go) with a handle (e). There are different ones for use with the hearth and the brazier. (One lifetime, one encounter) 'Ichigo' means a lifetime. A tea gathering cannot be repeated, and the host and guests feel that this is an encounter that can only occur once in a lifetime. 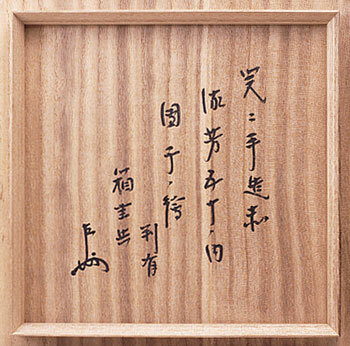 The phrase 'ichigo ni ichido' (once in a lifetime) appears in the 'Yamanoue Sojiki' as something said by Rikyu, and 'ichigo ichie' appears in the late Edo period 'Chanoyu Ichie Shu' ('Collection on the Oneness of Chanoyu') by Ii Naosuke. IEMOTO A family that teaches a traditional art. The word is also used to mean the present head of the family who embodies the tradition. Also the house or residence in which the family lives. The word 'Iemoto' was first used in the 18th century when the 7th Iemoto Joshinsai established the Iemoto system. This was made clear in the tradition of 'isshi soden' (transmission to one child only) by which every son but the eldest changed his surname and built a separate residence. J JIMYOSAI The fourteenth generation Grand Master of Omotesenke, born in 1938. He was the eldest son of the thirteenth generation Grand Master Sokuchusai. In 1967 he was given the name 'Jimyosai' by Hotani Komei Roshi of Daitokuji temple, becoming Soin (the heir of the Grand Master). In 1979 Sokuchusai passed away and on February 28th 1980 he succeeded to his title as the fourteenth Grand Master Sosa. 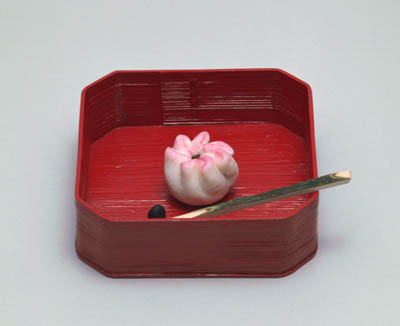 (Chanoyu cuisine) The origin of the word kaiseki which is written with the Chinese characters for breast pocket (kai) and stone (seki) is said to be 'Zen priests' custom of putting a heated stone inside their robes to keep off hunger. It originally meant a simple meal. It consists basically of rice and soup and three kinds of dishes, mukozuke (raw fish), yakimono (a fried dish) and nimono (a boiled dish) with pickles. 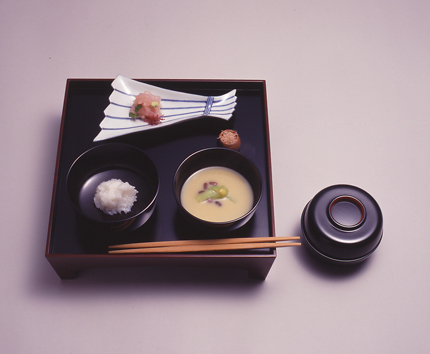 Now it is common for shiizakana (a side dish for sake), suimono (soup with delicacies) and hassun (a tray with mountain and ocean foods) to be added. 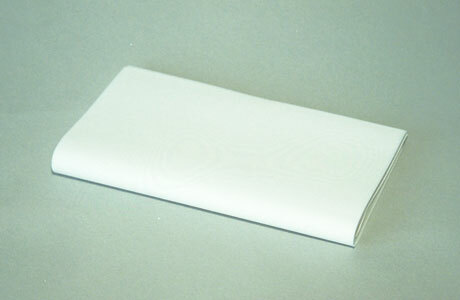 (Pack of special paper) This is a pack of paper which guests always carry inside their kimonos in the tea room. The paper is used to wipe the rim of the bowl of thick tea after drinking and as a plate on which to take tea sweets, and so on. It comes in two sizes, large and small. 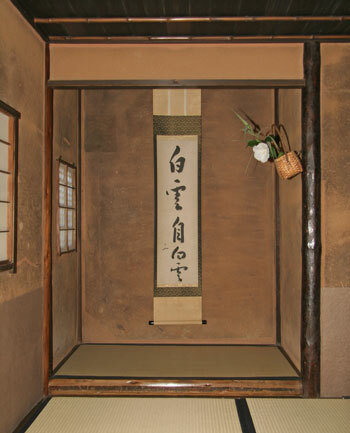 (Hanging scroll) Painting or calligraphy that is hung in the alcove. They are backed with cloth or paper and are also called 'jiku' and 'fuku'. They are central to the selection of chanoyu utensils. 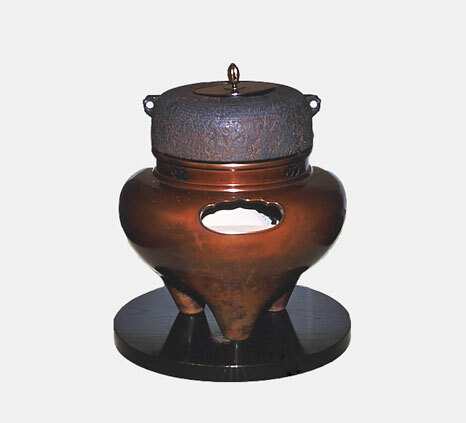 (Kettle) A cast iron utensil for boiling water on the hearth or the brazier for chanoyu. (Sweet vessel) A vessel on which sweets are placed and served. There are many kinds such as lacquerware, ceramic and plain wood. 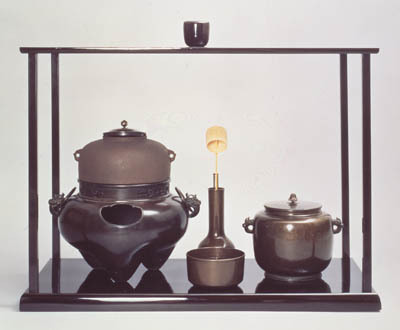 (Waste water container) A container for the hot water that has been used to rinse tea bowls and other water that is disposed of during tea procedure. 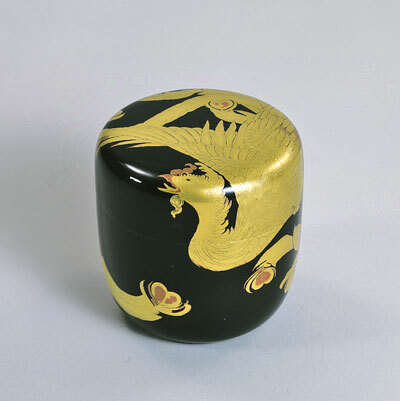 (Incense container) A container for incense. This is one of the utensils that is used for charcoal procedure. During the season of the brazier koboku (fragrant wood) is used, and during the season of the hearth neriko (kneaded incense) is used. (Thick tea) Three tea scoops of powdered tea per person are measured out to make a bowl of tea which has about the thickness of arrowroot broth, and this is shared by four or five people. This is called 'kneading' thick tea (koicha wo neru). Serving thick tea is the most important part of a chaji. (Preferred tea utensils) Konomi are utensils chosen by the Grand Master and other tea masters as being suitable for chanoyu. Ones selected by Rikyu, for example, are called Rikyu konomi. They are also called 'konomimono'. Tea rooms, tea gardens, tea utensils and even tea sweets and powdered tea are called this. (Sweet pick) A pick that goes with the sweet vessel. It is made from spicewood which has black patches on its surface. It is 18cm. long. 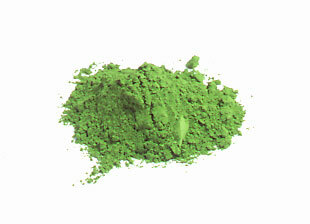 (Powdered green tea) This green tea is ground to a powder in a mortar. Long ago it was drunk in China, but now it is only drunk in Japan. (Fresh water container) Water for the kettle and to rinse the tea bowls and the tea whisk is put in this. They are made of metal, china, porcelain and bamboo. 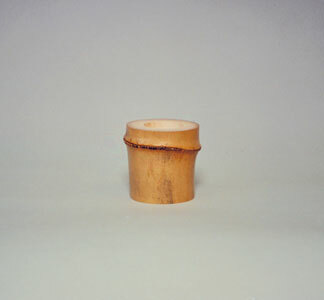 (Tea container) The typical thin tea container. Its form resembles that of the natsume (jujube fruit), hence its name. There are large, medium and small examples of the Rikyugata (Rikyu's design) natsume. It is usually laquered in black, but different kinds of material, shape, colour and design are used in different periods. 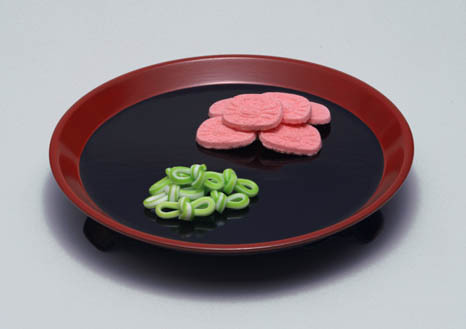 (Moist sweets) Omogashi are served with thick tea at a chaji (formal tea gathering). Omogashi are very sweet and quite substantial. 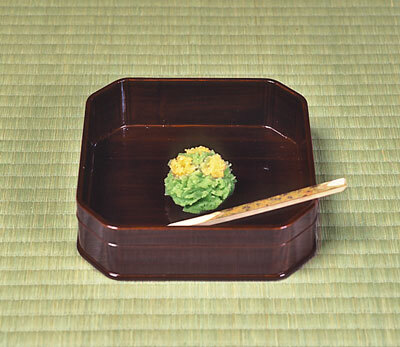 They are also served with thin tea at oyose, the large type of chanoyu get-together. OMOTESENKE A family descended from Sen no Rikyu that transmits the tradition of Sado (The Way of Tea). It is one of the three Sen families. The family estate was inherited by Koshin Sosa, the third son of Rikyu's grandson, Genpaku Sotan. Fushin'an is the representative Omotesenke tea house and the word is also used to mean the Iemoto. Each generation of Grand Master takes the name 'Sosa', and the present Grand Master, Jimyosai Sosa, is the 14th in line. (Hearth) A hole 42cm. square is cut into the floor of the tea room. The walls of the hearth are usually plastered. It is used to boil water in the tea room from the beginning of November to the beginning of May. (Tea garden) The garden of the tea house. The garden usually has stepping stones (tobiishi), a stone wash basin (tsukubai), a waiting arbour located between the inner and outer roji (koshikake) and stone lanterns. 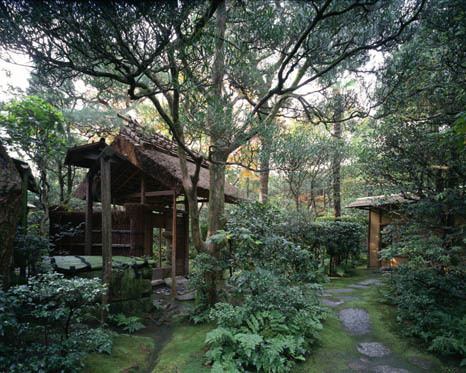 According to the scale of the garden there may also be a changing room (yoritsuki), a middle gate (chumon), an area where guests wait before entering the tea room (machiai), a lavatory (setchin), a well (ido) and so on. (The three Sen families) The three families descended from Sen no Rikyu; Omotesenke, Uransenke and Mushanokojisenke. At the beginning of the Edo period these three schools of tea were founded by the three sons of Genpaku Sotan. The third son, Koshin Sosa founded Omotesenke, the fourth son, Senso Soshitsu founded Uransenke and the second son, Ichio Soshu founded Mushanokojisenke. SEN NO RIKYU 1522-1591. Tea practitioner. 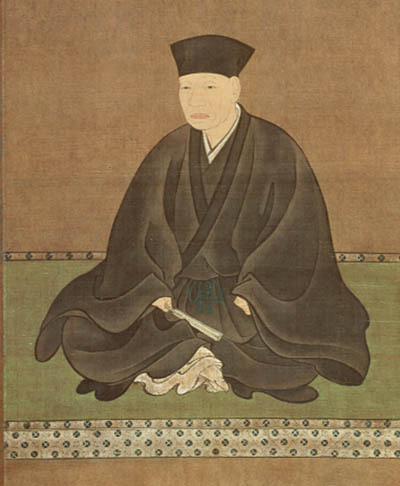 The founder of the three Sen schools of the Way of Tea (Sado). His name as a child was Yojiro, and his Buddhist name was Soeki. He was born in Sakai, the son of Tanaka Yohei. He learned chanoyu from Takeno Joo and worked as tea master for Oda Nobunaga and Toyotomi Hideyoshi. 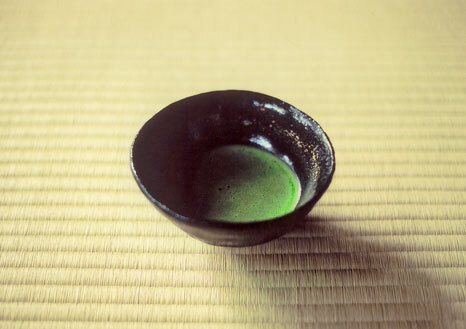 He showed an originality which had not been seen in chanoyu before that time and perfected wabicha (tea of quiet taste). SEN SOSA The name of the Omotesenke Grand Master. The Grand Masters since the time of the fourth generation Koshin Sosa, who founded the Omotesenke school of tea, have all taken the name 'Sosa'. (Fan) This is something that guests always have with them in the tea room. It is placed on the floor in front of the knees during greetings and observation of the things displayed in the alcove. It is used throughout the four seasons. 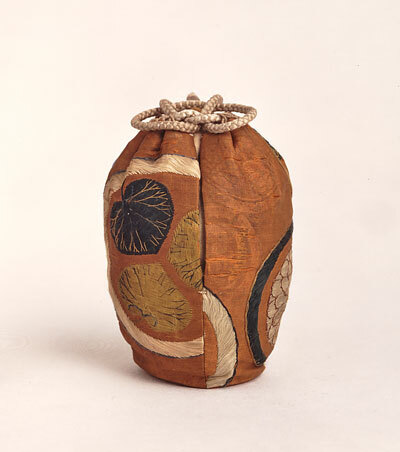 (Pouch) A pouch for tea containers (chaire) or tea bowls (chawan). The ones for tea containers are usually made of cloth that has a lineage. The pouch for the tea container is also observed by the guests along with the tea container and the tea scoop. 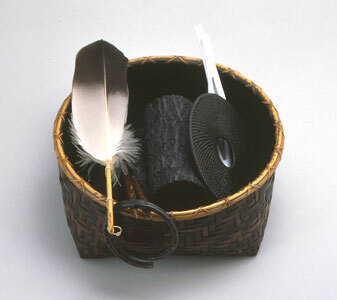 (Charcoal container) For charcoal procedure, charcoal (sumi), metal chopsticks used to handle the charcoal (hibashi), kettle rings (kan), kettle rest (kamashiki), incense container (kogo) and a feather brush (haboki) are carried into the tea room in the sumitori. In the season of the hearth a large one is used and in the season of the brazier a smaller shallow one is used. (Tea stand) A tea stand is used to hold and display fresh water container, tea container, and other utensils for certain types of tea gatherings. The formal type of stand has four columns and is known as a daisu. Many additional types are used, broadly divisible into large and small stands. (Tea procedure) This is the preparation of thick tea and thin tea according to the correct procedure in front of guests. It also refers to the arranging of charcoal in the hearth or the brazier. Temae has a long history during which it has been developed and refined. (Thin tea) Hot water is added to one and half tea scoops of powdered tea and whisked to make usucha (thin tea). 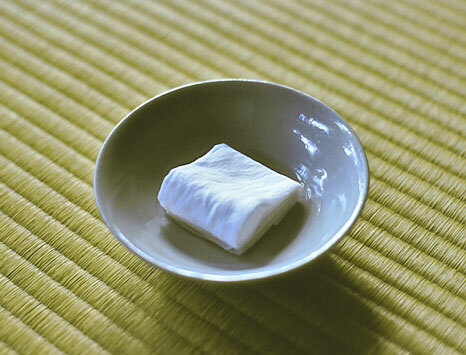 Thin tea is usually served with tea sweets to visitors. W WABI An aspect of the aesthetics of chanoyu. Taking a clean and simple lifestyle as the main principle, it is the idea of seeking spiritual sufficiency and beauty amidst material poverty.